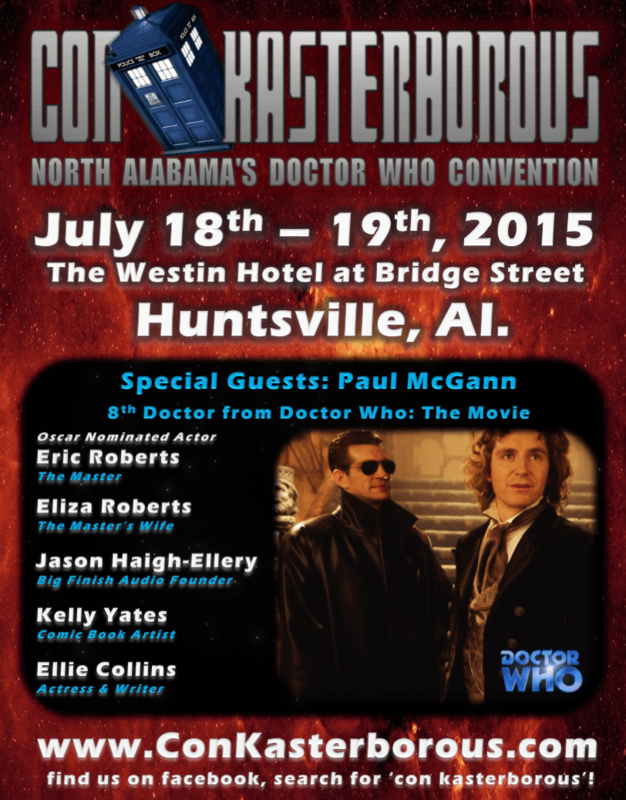 The husband and I will be departing Friday for our next convention, Con Kasterborous, in Huntsville, AL. We attended for the first time last year, and we had a great time. Lin will be setup in Artist Alley while I run around the con having fun and getting my picture taken with the Eighth Doctor, Paul McGann. Be sure to stop by and say hello if you are attending Con K.
In other Whovian news, the Series 9 trailer premiered this weekend at San Diego. Is it September 19th yet? Copyright © 2019 Fangirl Wednesday. Powered by WordPress. Theme: Ample by ThemeGrill.